Research has shown that you can improve your ability to learn by changing how you think about learning. Learning isn’t about being “smart” - it’s about practicing and persevering through challenges. 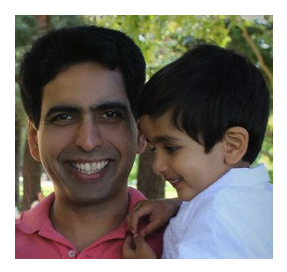 Sal Khan - founder of the Khan academy has written a brilliant article on building a “growth mindset He shares a story about how he trains his son to have a growth mindset, by praising his perseverance and his struggle by learning something - vs praising about something he is already good at. “My 5-year-­old son has just started reading. Every night, we lie on his bed and he reads a short book to me. Inevitably, he’ll hit a word that he has trouble with: last night the word was “gratefully.” He eventually got it after a fairly painful minute. He then said, “Dad, aren’t you glad how I struggled with that word? I think I could feel my brain growing.” I smiled: my son was now verbalizing the tell­-tale signs of a “growth­ mindset.” But this wasn’t by accident. Recently, I put into practice research I had been reading about for the past few years: I decided to praise my son not when he succeeded at things he was already good at, but when he persevered with things that he found difficult. I stressed to him that by struggling, your brain grows. The brain is a muscle - the more you use it, the more it grows. Research has found that neural connections form and deepen most when we make mistakes doing difficult tasks rather than repeatedly having success with easy ones. The best way that we can grow our intelligence is to embrace tasks where we might struggle and fail. Dr. Carol Dweck of Stanford University has been studying people’s mindsets towards learning for decades. She has found that most people have two mindsets: fixed or growth. Fixed mindsets mistakenly believe that people are either smart or not, that intelligence is fixed by genes. People with growth mindsets correctly believe that capability and intelligence can be grown through effort, struggle and failure. Dweck found that those with a fixed mindset tended to focus their effort on tasks where they had a high likelihood of success and avoided tasks where they may have had to struggle, which limited their learning. People with a growth mindset, however, embraced challenges, and understood that tenacity and effort could change their learning outcomes. As you can imagine, this correlated with the latter group more actively pushing themselves and growing intellectually. The good news is that mindsets can be taught; they’re malleable. What’s really fascinating is that Dweck and others have developed techniques that they call “growth mindset interventions,” which have shown that even small changes in communication or seemingly innocuous comments can have fairly long­-lasting implications for a person’s mindset. Process­ praise acknowledges the effort; talent­ praise reinforces the notion that one only succeeds (or doesn’t) based on a fixed trait. And we’ve seen this on Khan Academy as well: students are spending more time learning on Khan Academy after being exposed to messages that praise their tenacity and grit and that underscore that the brain is like a muscle. The Internet is a dream for someone with a growth mindset. Between Khan Academy, MOOCs, and others, there is unprecedented access to endless content to help you grow your mind. However, society isn’t going to fully take advantage of this without growth mindsets being more prevalent. So what if we actively tried to change that? What if we began using whatever means are at our disposal to start performing growth mindset interventions on everyone we cared about? This is much bigger than Khan Academy or algebra – it applies to how you communicate with your children, how you manage your team at work, how you learn a new language or instrument. If society as a whole begins to embrace the struggle of learning, there is no end to what that could mean for global human potential. And now here’s a surprise for you. By reading this article itself, you’ve just undergone the first half of a growth­-mindset intervention. The research shows that just being exposed to the research itself (­­for example, knowing that the brain grows most by getting questions wrong, not right­­) can begin to change a person’s mindset. The second half of the intervention is for you to communicate the research with others. (Ivan’s comment) Organisations like BBG (www.bbg.business) which encourage people to collaborate, learn and grow and enables them to explore issues and learnings face to face is also a fantastic forum for learning and exploring things learnt online! Watch the video (below) that celebrates the struggle of learning that will help you do this. After all, when my son, or for that matter, anyone else asks me about learning, I only want them to know one thing. As long as they embrace struggle and mistakes, they can learn anything.